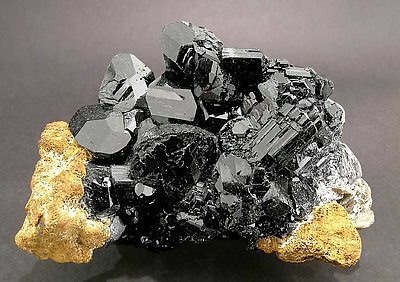 Very aerial aggregate of Schorl crystals that have very well defined crystalline forms with polycrystalline growths and they are very bright. 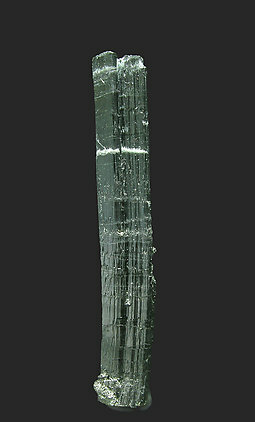 Curious prismatic crystal, naturally broken and rehealed in several places, with numerous curvatures and crystalline fibrous shaped sutures. The quarry from which the sample came is not well known and, probably it has been recently opened. 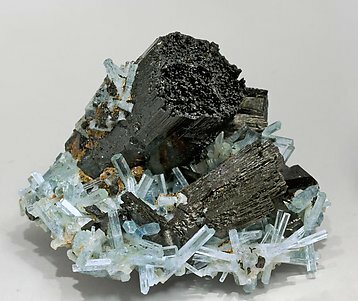 A group of prismatic, naturally broken and rehealed, crystals. They have abundant curvatures and crystalline fibrous shaped sutures. 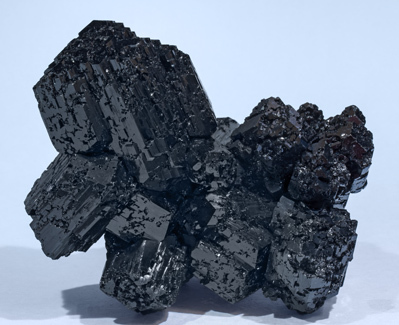 Crystals are doubly terminated, with very different terminations. On one of the tips appear well defined and bright rhombohedron faces, on the other it finishes with a flat rough pedion. The quarry from which the sample came is not well known and, probably it has been recently opened. 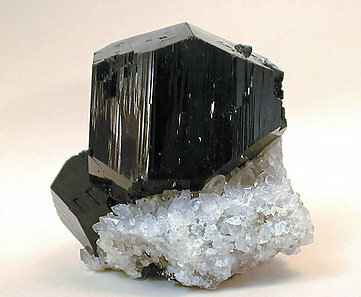 Group of partially doubly terminated crystals with very well defined faces and edges and perfect terminations. We specially note the size of the main crystal, considerably larger than most from this locality. From the latest find of excellent Namibian Schorl we selected this esthetics and brilliant specimen on white Quartz matrix that it is not too common in this find. 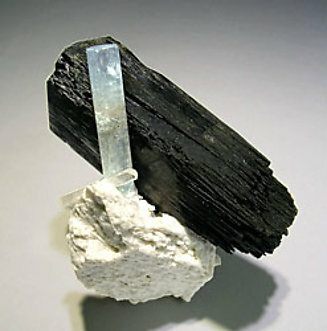 We especially note, on the same specimen, the coincidence of a prismatic crystal of Schorl with two crystals of Beryl (Aquamarine) on a matrix of Feldspar, probably Orthoclase. 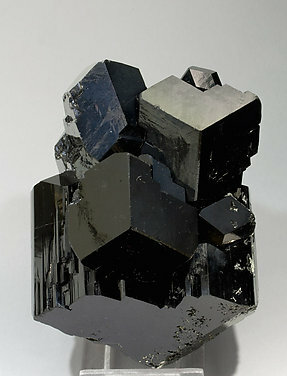 Crystals of Schorl formed by a single prism, a ditrigonal prism and the terminal faces of a rhombohedron. These faces are polycrystalline and partially skeletal, the walls of the edges being very well marked. 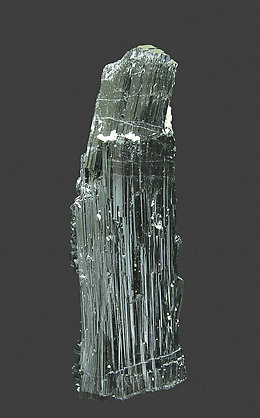 The Schorl is with intense blue crystals of Beryl (Aquamarine), very transparent and bright. 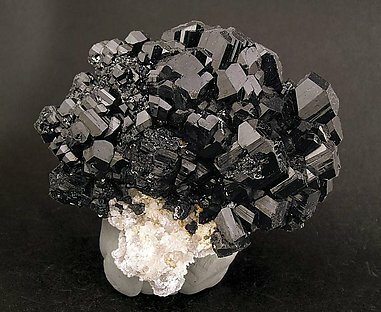 Attractive group of numerous, very brilliant crystals that have sharply defined faces on their terminations. These are supported by a matrix of Muscovite and Limonite concretions. It is a floater specimen. 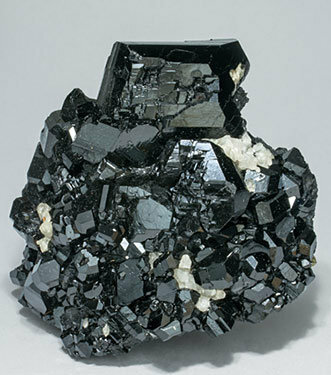 Aggregate of short prismatic Schorl crystals, some of them doubly terminated, with very well defined faces and edges. They are very bright and are with small Quartz crystals. The photo says a lot about the esthetics of this great specimen, so all we need to add is that it is a floater and that the form and brilliance are as good as the photo suggests. It is a really great specimen.